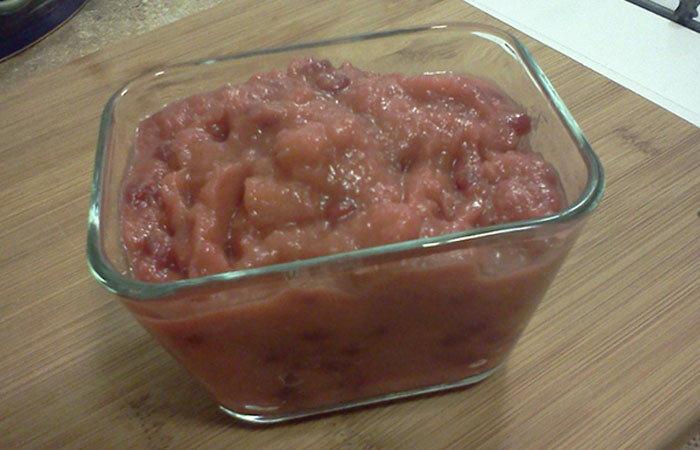 Clean, peel, dice Quince into 1/4″ or smaller pieces. Remove seeds from Pomegranate. Mince shallot. Saute shallot in ~ 1 Tbls butter until tender, add diced Quince. Shake pan to cover Quince with butter. You may have to add more butter depending on how dry the Quince is. Continue to saute until Quince starts to soften, add white wine. Shake pan to make sure Quince soaks up all the wine, add water, spices and brown sugar. Stir well. Allow to simmer until Quince is very soft, almost mushy. If liquid soaks up before Quince is soft add more water. When Quince is very soft and there is still a small amount of liquid, add pomegranate seeds, stir. allow to simmer until all quince is very soft. Let cool enough to put into clean glass containers.